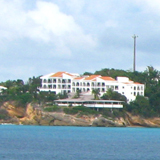 People had access to cheap Barbados vacations, able to borrow a timeshare and find reasonable airfare. Even when my Dad was young, his Mom (our Nana) would take Barbados vacations once a year with her friends. She would return with stories of long, warm afternoons aboard "The Jolly Roger," a daytime charter. 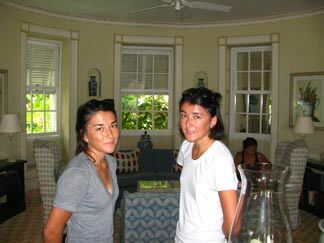 When we moved to Anguilla in 2008, our suspicions were confirmed. Everyone had been on a Barbados vacation... except our family. Most of our friends in Anguilla had visited the island at least once to "take care of business," pick up a visa at the American embassy, and so on. Already familiar with the Leeward Islands (Anguilla, St. Martin, Saba and St. Barts), it was time to discover the Windward Islands. First stop? Barbados. We needed to see what everyone else had been experiencing for years! We departed St. Maarten bright and early, Antigua-bound. We were met by a long line of disgruntled travelers connecting through the Caribbean hub, and a thorough security check point. The departure lounge would soon become our next home. We waited, and waited, and waited to board our flight, and really start our Barbados vacation. We learned our lesson the hard way. Carl Thomas offers direct Anguilla flights to Barbados aboard Anguilla Air Services, which is a route to consider for future Barbados vacations. When we touched down, we realized why Barbados was a hot spot for Canadians. A giant "Air Canada" (Canada's international airline) ticket booth was slammed beside two large American airlines. It was the first time seeing our national airline anywhere outside of Canada! Tired, hungry and hot (the Windward Islands sure get less breeze than the Leeward Islands! 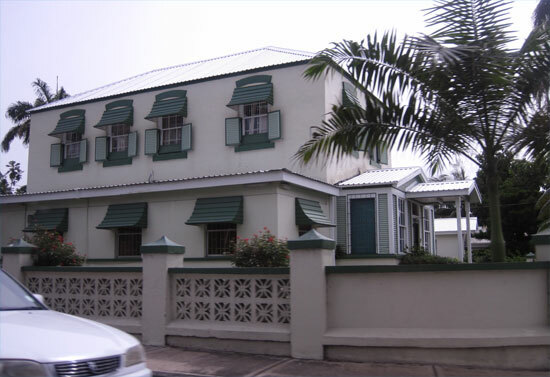 ), we flagged down a taxi at the airport and headed to our Barbados hotel. 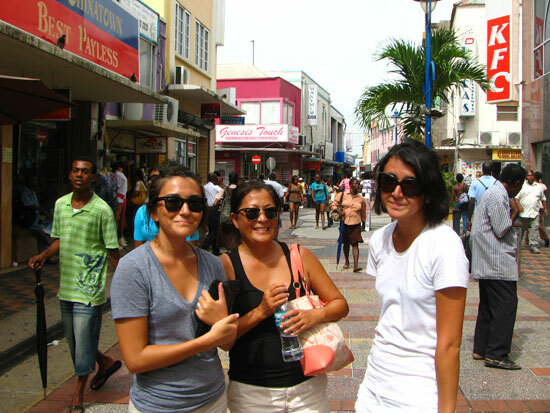 Coming from the quiet island of Anguilla, Barbados was a bustling metropolis! Highways, traffic, housing developments, giant homes, sidewalks, large city buses, right-hand drive on the left side of the road. It felt like a tropical England. 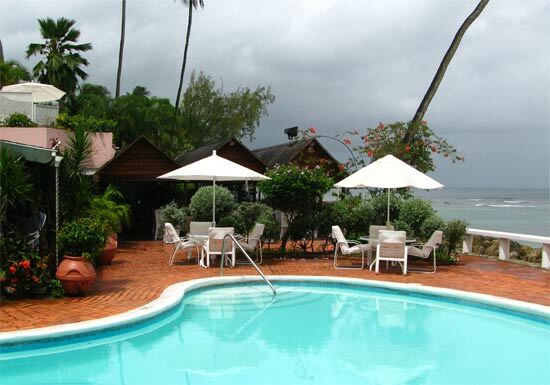 If you are looking for Barbados' most luxurious hotel, you are in luck. It will be a short search. Barbados is home to the one of the world's most high end hotels, Sandy Lane. This is where all of the big names stay: It was the site of Tiger Woods' wedding, native Rihanna is a regular here, and so are many British stars like Hugh Grant and Simon Cowell. This luxury hotel is an experience, a resort designed to captive your Caribbean dreams, where any thought of venturing out of the resort simply ceases to exist. The resort features 7 bars, 4 restaurants, 1 luxury spa, 1 supreme golf course and has an idyllic setting, right on one of Barbados' nicest beaches. Could you ever need anything else? Standard rooms start at $1000/night in the low season. But, there is good news. If $1000/night for a standard room makes your wallet shake, don't panic. 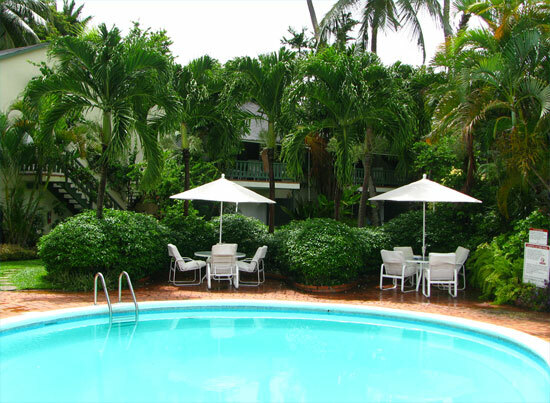 Barbados has plenty of lovely accommodations options for a fraction of the price. 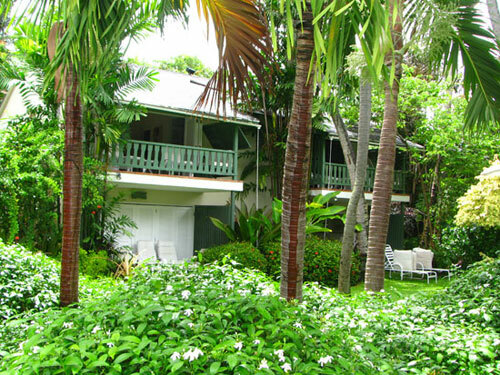 We opted for a quiet boutique hotel, nestled on the island's west coast, Cobblers Cove. Cobblers Cove has a reputation for being a "classic" Barbados luxury hotel, rich with British charm and character. The entrance was quiet and elegant, kept cool by the rich stone walls. A gracious lady greeted us, offering us chilled towels to refresh. As she served us towels from a silver plate, the General Manager arrived to welcome us personally, a warm touch. 4 rum punches coming up! 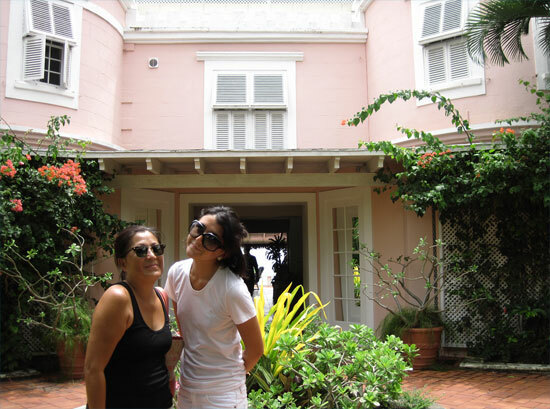 Once our kind host had our keys in hand, and our bags were whisked away, she gave us a tour of the boutique Barbados luxury hotel. Down a narrow cobblestone path we went, tunneled through a dense, lush tropical forest. The grounds were quiet, the only sounds were the light cooing of doves. 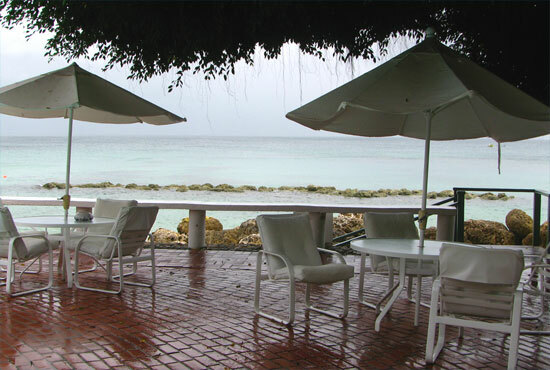 Cobblers Cove offers Barbados vacations set on the beach, in the gardens, or by the pool. They offer 22 superior suites, 6 deluxe suites, 2 two-bedroom suites, 8 ocean front suites, 1 "Camelot" suite and 1 "Colleton" suite, which are in the turrets of their main building. 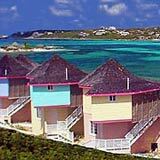 The rooms are of quaint, wooden structures, painted in pastel colors. Inside and out, the decor is a tropical English "country house" theme. Our host brought us to the bar and to our four mixed-to-perfection rum punches. 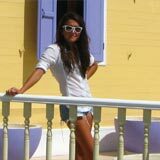 She pointed out the peaceful dining room, home to an award winning restaurant, overlooking the still Caribbean Sea. Stomachs rumbling, we returned shortly after to devour four succulent burgers and plates of hand-cut fries. The reviews did not lie. 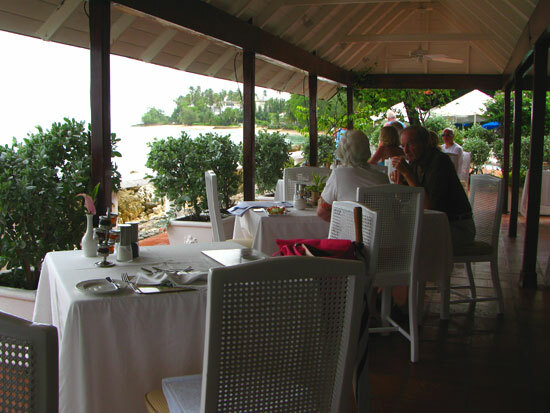 Cobblers Cove's restaurant is featured on the Relais & Chateaux list of restaurants, and it's no wonder why. Their complimentary continental breakfasts of pastries and fresh banana bread, were only topped by their full English breakfasts and breakfast specials including scallion smoked salmon omelets! We were in breakfast heaven. In a room adjacent to the dining room, high tea is served daily. If the pastel colors, wicker furniture and West-Indian touches didn't give a feeling of historic British-Caribbean charm, high tea certainly did. Daily, trays of pastries, finger sandwiches and a wide selection of teas were available in the gentle cream and blue common room. While you nibbled and sipped? Games of chess were played, or books were read from their large collection. This wasn't my or Yuki's cup of tea, but my Mom would rush us back from our daily adventures and discoveries to return in time for high tea by the sea. Our room was the last stop on the tour of the Barbados luxury hotel. 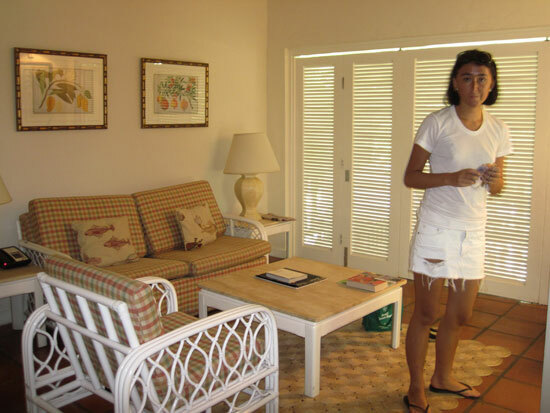 In the flavor of the rest of the hotel, the suite felt a quaint-luxury feeling, dipped in muted tones, complete with country-turned-tropical touches, including paintings of pineapples and Caribbean settings on the walls, and checkered wicker furniture throughout. Even the quality of service was reminiscent of England, accommodating and understated. Fluffy bathrobes and soothing soaps were provided in the bathroom, air conditioning in the bedrooms, a spacious balcony, and to our pleasant discovery, complimentary chocolates and cookies! Now, we were all set. Drinks and chocolates in hand, we finished the last sips of rum punches and the last bites of cookies on the balcony. What they hadn't prepared us for? The sights from the porch. We didn't stay settled in for too long. Already curious about the rest of the island, we "hired" a car. A seamless process, we were on the road shortly after. 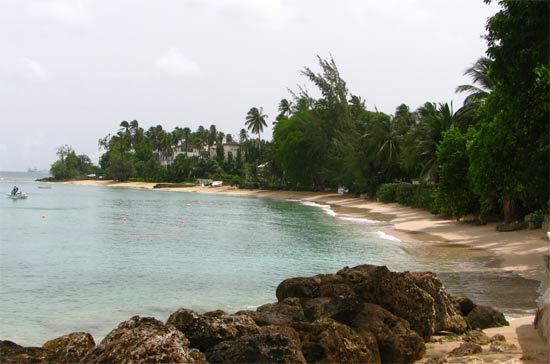 Cobblers Cove is on the West coast of Barbados, next to the island's second biggest town, Speightstown and a short drive from the island's capital, Bridgetown. 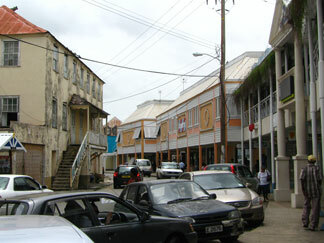 Speightstown is the island's second busiest city. Still a working fishing town, you will find many markets and stands offering fresh local fruit and vegetables, banks, pharmacies and a mega grocery store. We parked our rental car and roamed the main street that straddles the water. In addition to meeting all of your "needs" (pharmaceuticals, groceries), there are many cheap-but-tasty spots, high end eateries, shops and art galleries. Tip: Be sure to try the Roti Hut for authentic Trinidadian roti! Instead of heading further up the coast, we turned south. We had seen the second biggest city, and now wanted to see what Barbados really had to offer city-wise. We were on our way to Bridgetown. 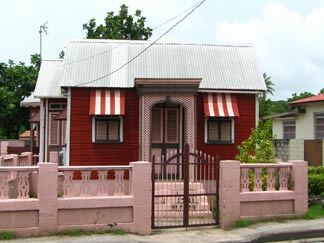 Row upon row of quaint "chattel houses," the term Bajans use for their quaint, traditional, wooden homes. 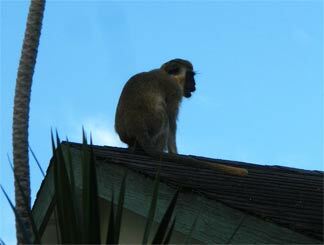 You don't see many of these left in Anguilla! Anguilla has been slammed with many hurricanes resulting in the loss of most of their charming Caribbean cottages, but not Barbados. Their last hurricane was in 1955! Barbados is the most Easterly Caribbean island and is southern enough to dodge hurricane after hurricane, year after year. The lasting, fragile wooden architecture is the proof. 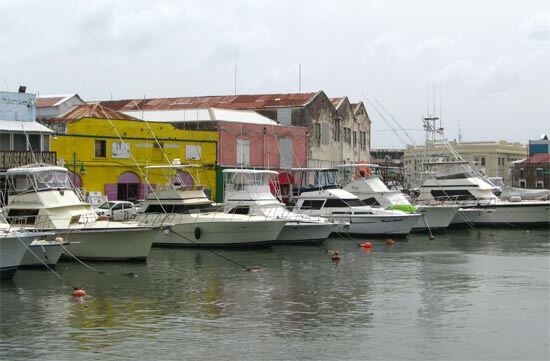 We have heard many stories of Bridgetown, a popular cruise ship destination and where many residents and citizens in the Caribbean go regarding their American visas and passports. It sounded like a city of hustle and bustle, catering to a variety of needs and providing a plethora of services. 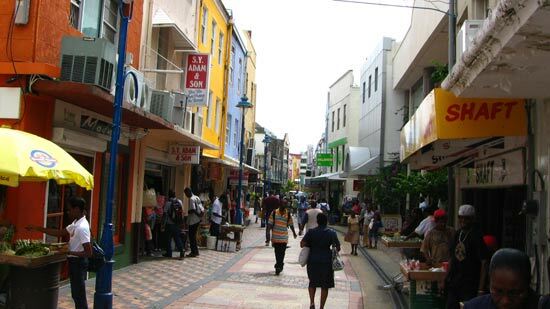 The "main strip" moves fast, the streets packed with busy Bajans on the go, offset by the slow-moving tourists on Barbados vacations peeking into the duty free shops that litter the streets. If you have been to one cruise ship strip, you already know what you will find in the shops along the main strip of Bridgetown, a lane of discounted jewelry and electronics. 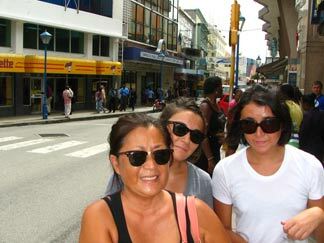 After skimming through sunglasses sales, we crossed Bridgetown's central bridge (hence the name Bridgetown!) to the harbour. The cruise ships come in beyond the harbour. The harbour seemed to be exclusively for fishing boats, with a full boat repair center around the corner from where the boat docks. We retraced our steps back over the bridge to discover that the most interesting sights were beyond the main strip and the marina, a few roads in from the central street. You won't find any tourists here, just Bajans going about their daily lives, buying and selling clothes, groceries, school supplies, eating in small restaurants, chit chatting, walking, heading home or going out. Being in the heart of a bustling Caribbean city is a unique experience that isn't afforded by other major Caribbean islands like Jamaica, or even the US Virgin Islands, both whose capitals are quite dangerous city centers. 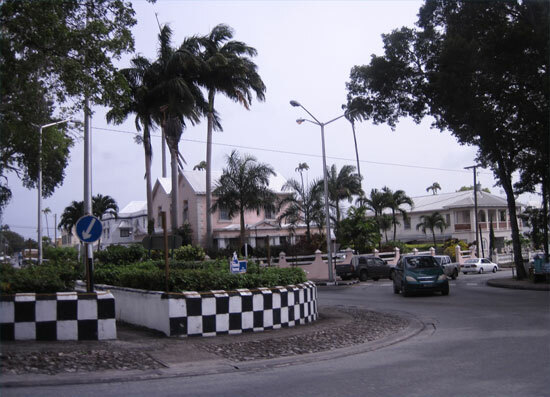 Bridgetown is very safe to walk through. Worn out from a long morning of travel, and a curious afternoon of exploring, we retired to Cobblers Cove. Our Barbados vacation had just begun, and already we had covered so much ground. It was time for room service and a night of relaxation. After all, tomorrow was a full schedule of Barbados surfing and roaming the island's East coast! Click here to read Part 2 of Barbados vacations: Barbados surfing, visiting Oistins and watching big wave surfing on Barbados' East coast.